Both area and its building hide many relicts of buildings from Teutonic times. Till our times the southern wall has remained. In the half of 17th century a municipal malt house, adjoining to this wall was built in the north side. Its basement (covered with terrace) remained. In the corner of the wall at Zamkowa Street a western wall of ancillary tower also remained. Gate's western wall was connected with remained eastern wall. 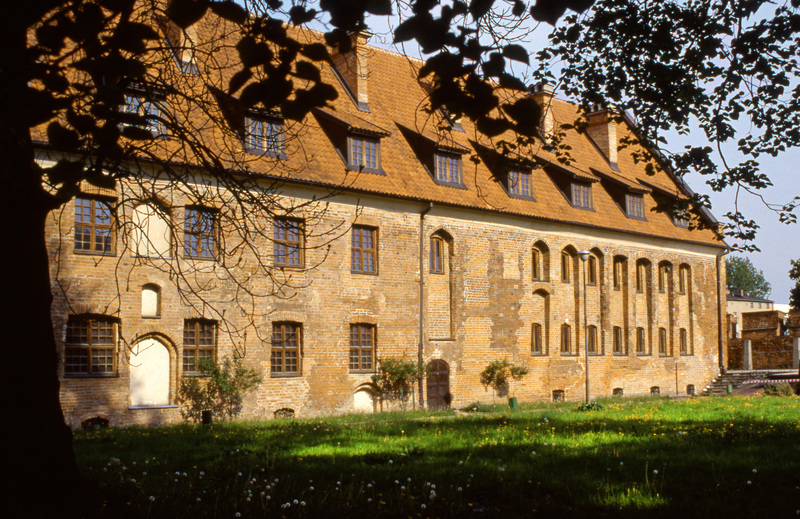 In the time of functioning of commander's abode, from the court side, a big brick building with a malt house and granary came into being (nowadays – southern wing). Many pieces of medieval building are much more exposed to the view thanks to rebuilding for museum purposes which was finished in 1987. From the northern side of Outer Castle there is a remained piece of fortified wall which separated the town from castle’s area. In 1237 Teutonic knights began the next stage of conquest the Prussian lands near contemporary Elbląg. The first fortress was temporary. In about 1251, when Elbląg became an abode of the Prussian Domestic Master of Order, they joined to building solid and brick castle. In the north of the castle there was built a settlement, called later the Old Town Elbląg. After moving the residence of Grand Master of Order from Venice to Malbork in 1309 the castle in Elbląg was destined on an abode for the Elbląg commander and also great hospitaler. In 1454, a revolt broke out against the Teutonic knights, during which Elbląg took important part, citizens started to demolish the High Castle. The rest of castle’s buildings and leveling rubble occurred 100 years later. 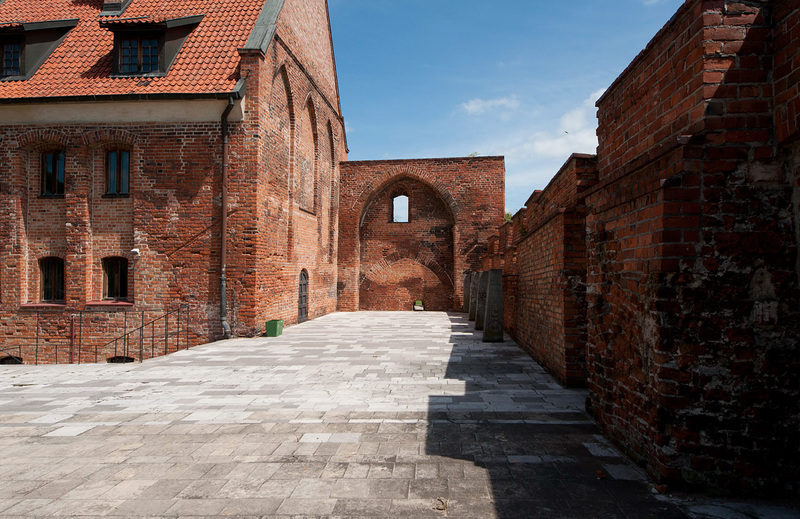 Under the conditions of the Great Privilege issued by Polish King Casimir Jagiellon in 1457, the town received the area of the castle’s complex. 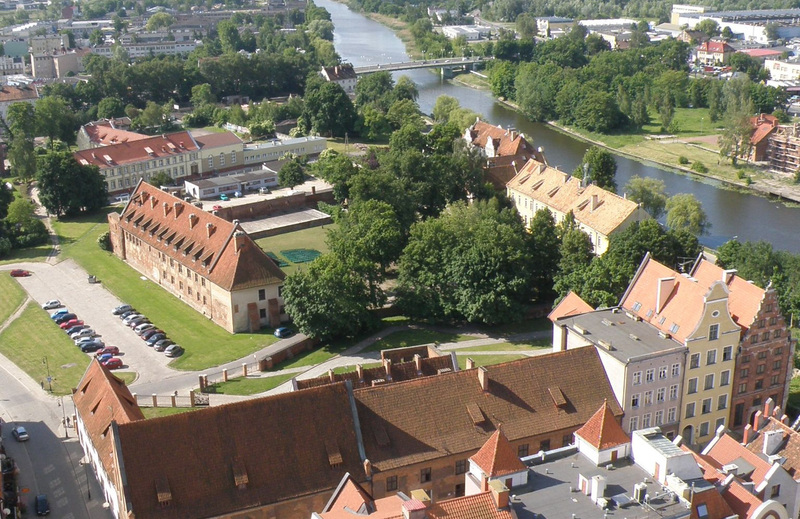 Nowadays there is only so-called northern Outer Castle (Vorburg-Podzamcze) which borders on the north side of the Old Town where there are rooms of the Museum of Archeology and History.